Meeri Kim: Throughout your career, one of your main research topics has been online communication among adolescents — from the early days of chat rooms to today’s social networking. In what ways does online communication affect teen learning and development? Kaveri Subrahmanyam: For the most part, online communication by adolescents seems to really reflect whatever else is already happening in their lives. In other words, their online interactions seem to be an extension of what is happening to them developmentally. For instance, in one of our early studies, my colleagues and I analyzed transcripts from a monitored teen chat room and found that they used the online space to air adolescent concerns or gather information about sexuality. If you look more recently at activity on social media they seem to be using these social networks for self-presentation purposes via profile pictures, status updates, and uploading of photos and videos. Overall, online communication in adolescents does tend to fit in with what else is going on developmentally with their offline lives. At the same time, interactions do feel somewhat exaggerated online — as in, you don’t just have 10 good friends, you have five hundred. So teens’ online and offline lives are not mirror images of each other, although they do seem to go in parallel. MK: Since the internet became mainstream, parents have worried about their kids getting into trouble online, whether it be through meeting strangers, viewing inappropriate content, or cyberbullying. What does your research say about teenagers delving into the darker sides of the internet? KS: Much of my early research was reassuring to parents in that it showed teenagers, by and large, weren’t going online to meet strangers. Our study of 251 high school students and their Facebook and instant messaging habits revealed that they were mainly using social networking sites to connect with people known from offline contexts. Even today, most of their online interactions are with people from their offline lives. However, research has found that if you’re a teen engaging in delinquent or problematic behaviors offline, then chances are good that you’re doing some of it online as well. This goes back to the same idea of continuity between offline and online lives. Initially scholars have speculated that people go online and sort of rediscover themselves — if you’re shy offline, then you could have the opportunity to become a raging extrovert online. It turns out that’s not necessarily happening. All of these problems that we’re seeing — access to inappropriate sexual content, cyberbullying, online harassment — many of these behaviors have always been present. I remember being bullied by my peers 30 years ago, maybe 40, in another country. So it’s always happened. MK: Do you think there are differences between, say, bullying now versus pre-Internet? KS: What is different about all of these problematic behaviors happening in cyberspace is again the fact that the interactions are exaggerated. For instance, as a cyberbullied teen, you can never really get away from the torment. You’re getting bullied at school in person, and at home over social media. In the past, you could at least go home and get some peace. I think that exaggerated aspect of technology is a legitimate concern for parents. MK: Could you elaborate on how using online communication methods may not be as effective as face-to-face interactions? In what way? KS: Recently, we did a daily diary study where we looked at college students’ digital communication in three different channels — face-to-face, text messaging, and social networking — and related it to their well-being that day. We found that if they reported a high-quality text messaging or face-to-face interaction, they felt better that day. However, only face-to-face communication had a lasting effect on well-being that spilled over to the next day. For text messaging, the effect on well-being was more ephemeral and seemed to dissipate at the end of that first day. Social networking did not have relation to well-being, likely because it was more public and less intimate. The takeaway for me — and this has always been my approach to technology — is that the genie is out of the bottle. Technology is here to stay, its big strength is convenience in terms of quickly keeping in touch with a large number of people. But at the same time, maybe we all need to be mindful about what type of communication we use and when – that includes adults and not just adolescents. 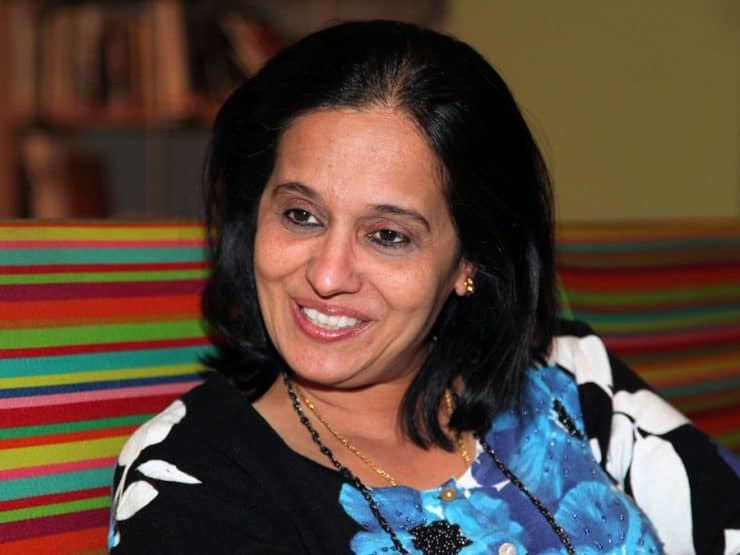 Kaveri Subrahmanyam, Ph.D., is Professor of Psychology at California State University, Los Angeles and Associate Director of the Children’s Digital Media Center @ Los Angeles (UCLA/CSULA). Dr. Subrahmanyam studies the cognitive and social implications of interactive media use and conducted one of the first training studies showing the effects of computer game use on spatial skills. She has published numerous research articles and book chapters on youth and digital media and is the lead author (with Dr. David Smahel) of Digital Youth: The Role of Media in Development (Springer, 2010).